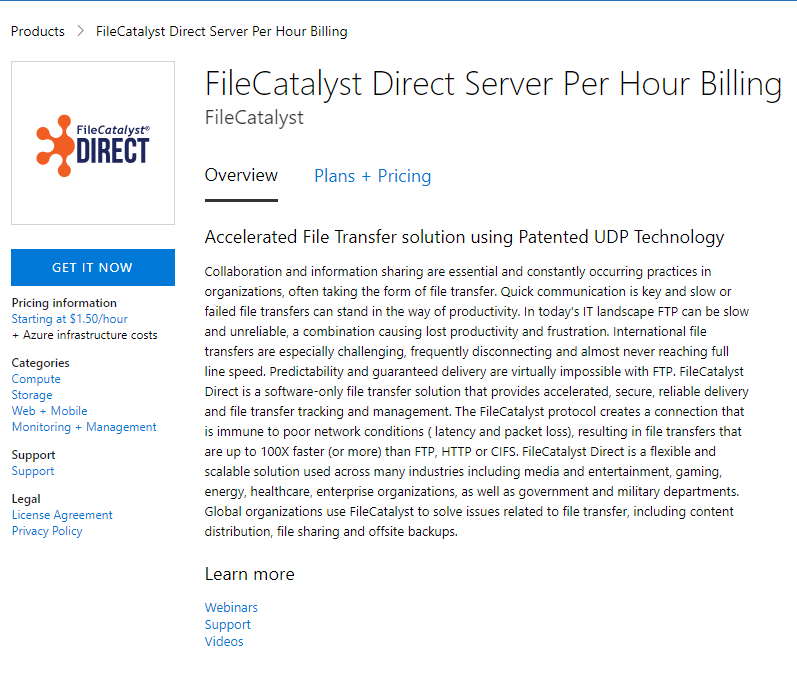 This guide will provide a quick walkthrough on launching your own FileCatalyst Server Per Hour Billing instance. Using the link above in the Azure Marketplace, click on Get It Now to begin your subscription. You will be required login to your Azure account. In the basic configuration tab, you will need to specify connection details and a connecting username. For this article, we have used ubuntu as the username and specified a password. You can choose the options that fit your needs. Hit Ok to continue to the next tab. In the next step, you will configure the type of instance you would like to use. You will need to choose the best VM option depending on the amount of data (number of files and total size), number of simultaneous connections, compression settings and other applications that are running on the machine. You can reference our System Requirements and configure an instance you need. Once you have configured any additional options and accepted the terms and agreements your instance will be created on the Azure Dashboard. Click Connect on your instance to get SSH connection details. Once you are in, you will need to stop the FileCatalyst Server service if it is running. (Optional) The default admin password is: movefilesfast! The FileCatalyst Server is now running in headless mode. 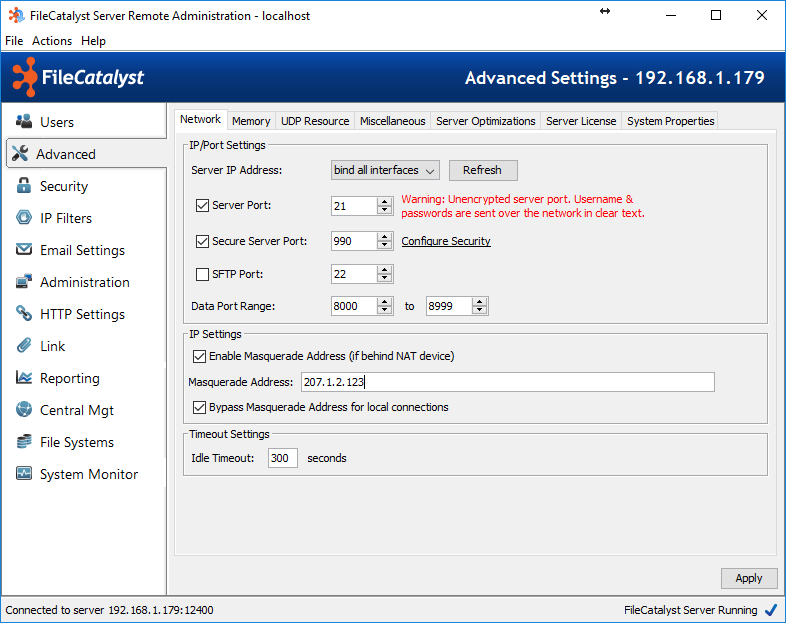 You can administer the Server remotely using the FileCatalyst Server Remote Admin tool. 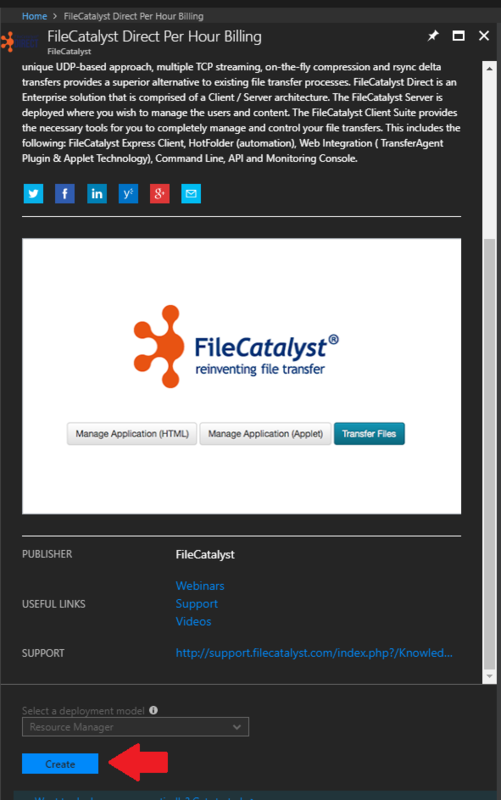 Contact techpartners@filecatalyst.com for download credentials. This step will allow the FileCatalyst Server to broadcast the Public IP of the machine rather than the Internal IP. 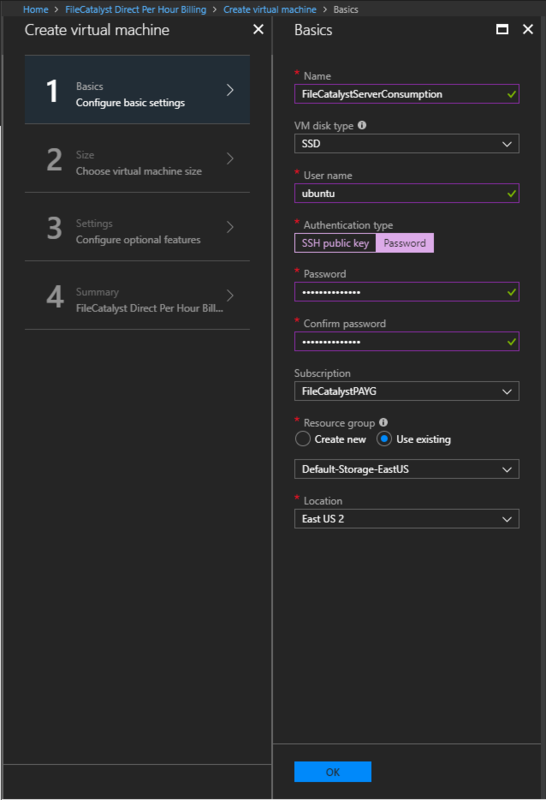 You can obtain the Public IP of your deployment from the Azure Dashboard.